Located 10 minutes from Chinon at our family-run château in the Loire Valley, enjoy a tour of our Cabernet Franc and Chenin blanc AOC CHINON vineyard, leading to a visit of the cellar, then a wine tasting in a historic tasting room. After which you will receive a lovely packed lunch with 1 bottle of wine in order to picnic overlooking the vines. 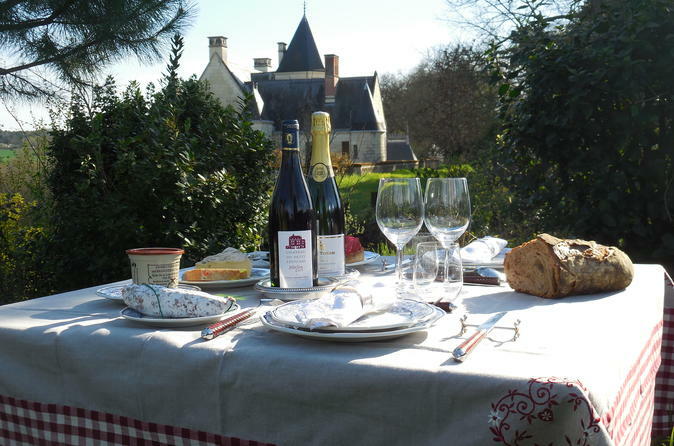 An unforgettable Loire Valley experience from an award-winning family-run winery. The easiest and cheapest way to get on the internet here in Chinon. Avoid the frustration of hotel WiFi that is slow and often doesn't work, forget about loosing your contacts and the limits of a French sim card: you own a personal and password protected unit, with unlimited and shareable data.